CINCINNATI -- The Queen City has been crowned the region’s top foodie destination if we’re to believe a map compiled by the folks at infographic-maker Venngage . 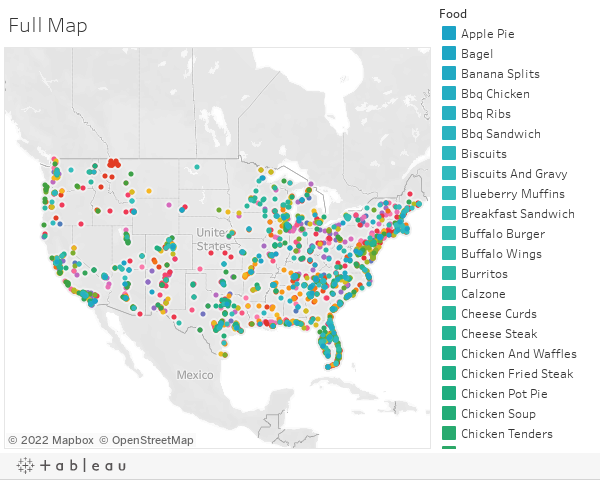 For each food category -- things like mac and cheese , pizza and doughnuts -- McCready’s analysis pulled the top 30 or so restaurants in the country into his data set. Of the nearly 3,200 restaurants he mapped, 15 fall in the Tri-State. No surprise here, but three chili parlors make the list: Blue Ash Chili, Camp Washington Chili and Skyline. Hometown favorites like Graeter’s, Eli’s BBQ, Holtman’s Donut Shop, the Sharonville Root Beer Stand and Camp Dennison’s Schoolhouse Restaurant all made the cut. What gives Cincinnati bragging rights is the fact that we blew all other regional cities out of the water when comparing the number of top restaurants included in the map. We nearly doubled Columbus and Indianapolis’ showing of eight eateries a piece. Cleveland and Louisville had six restaurants mapped, Lexington had five, and poor Dayton saw just two make the list. Take a look at the entire map here and below.